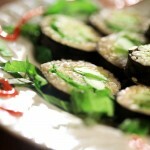 Our vegan sushi roll made of cucumber, avocado, spinach, rice, and seaweed. 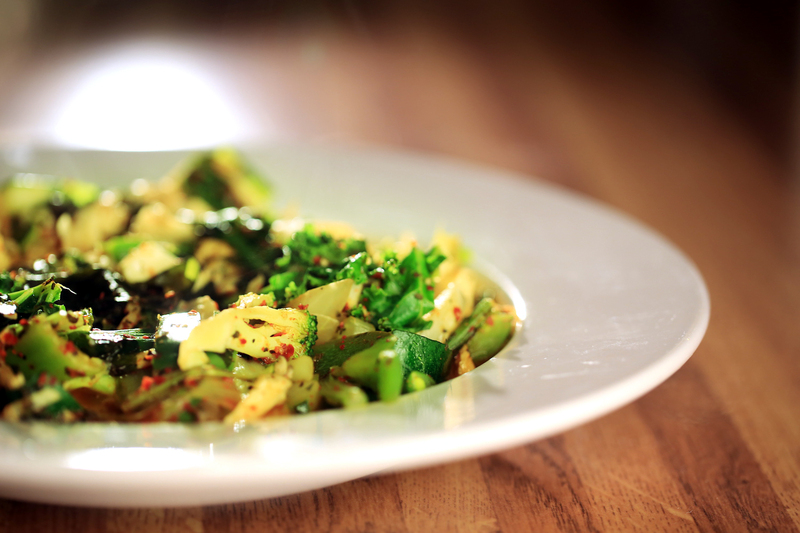 The monk's dish- streamed brown rice mixed with steamed vegetables and a spicy chili sauce. 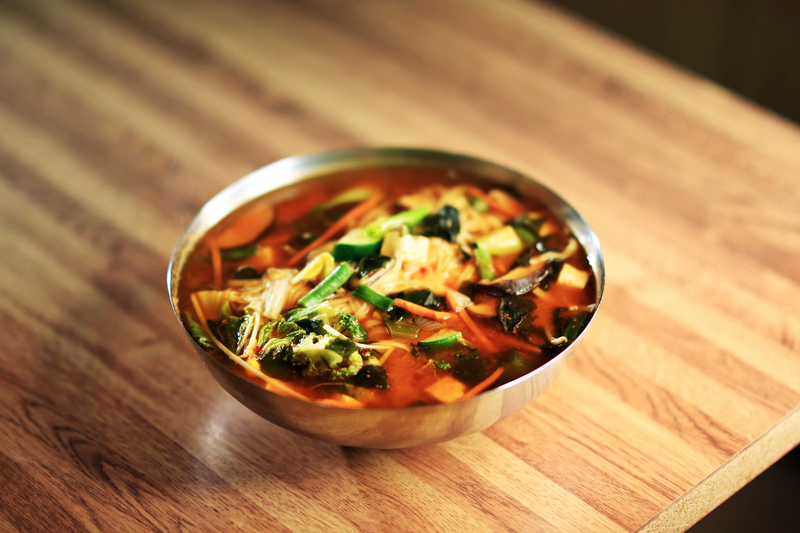 Heavenly green veggies, chunks of tofu and seaweed tumbled with a mellow mild flavor for every green in your heart. 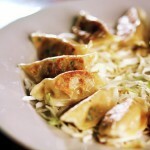 12 dumplings stuffed with tofu and a mixture of vegetables. Served over cabbage with spiced miso sauce. 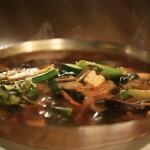 Chicago's favorite spicy noodle soup with heavenly veggies, seaweed and tofu served with wheat or rice noodles. It's good for cold, flu, hangover and sore throats. 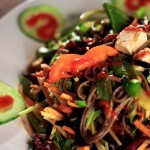 Long strands of buckwheat noodles, chili peppers, kudzu sauce, and a mixture of fresh vegetables. 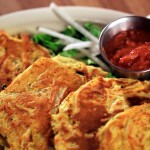 Delicious wholewheat and vegetable pancake patties. Served with plum and spicy miso sauces. Heavenly oyster mushroom with shitake mushrooms steamed stirred with mystic Asian veggie noodles all mixed over rice noodle and aged Chef Bill's black bean miso sauce will take you to the dark side of the moon. Anytime and any day of your life. 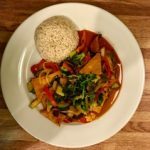 Six pieces of grilled tofu with super healthy veggies tumbled all over Tibetan curry, turmeric, and Chef Bill's special sauces to bring complete Choi of cooking. No oil. 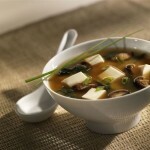 A hearty soup of garlic, onion, tofu, and mushrooms. 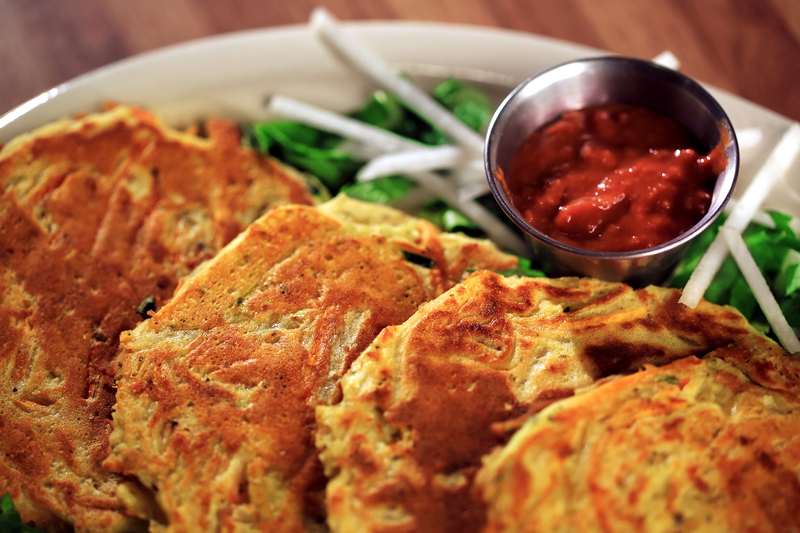 This Korean classic prepares the soul for a heavenly feast. 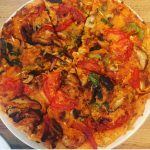 Thick whole-wheat noodles steamed with wonderfully flavored veggies and various tasting nuts that will provide energy for your body. 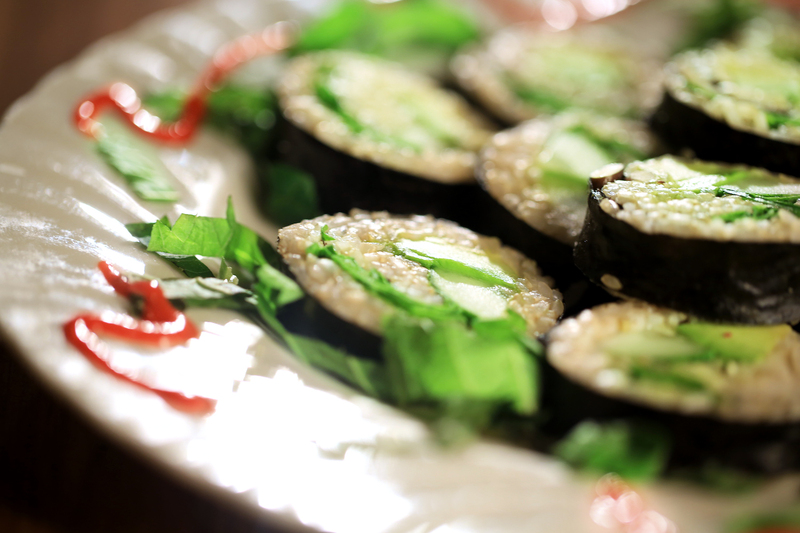 Sushi roll with kimchi, spinach, carrot, rice and seaweed. Sushi roll with Various herbs and roots, rice, and seaweed. Cool appetizer with rice wrapper. 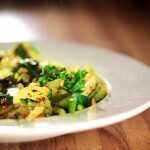 Wrapped with strips of grilled tofu, avocado, carrot, red pepper, cucumber, cilantro. Served with Mild or Spicy dipping sauces. Complete list of many healing herbs veggies with tofu that will kick one step higher for your inner level of energy. 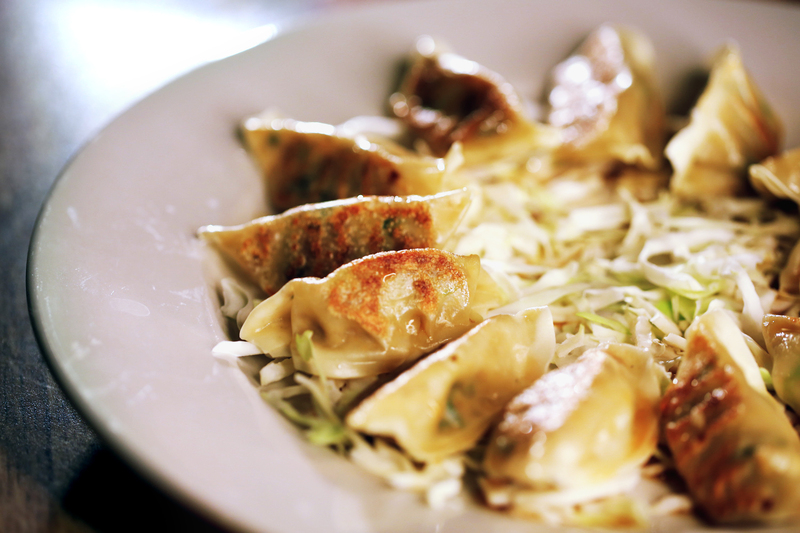 Mild cabbage broth and six pieces of veggie dumplings mixed with tofu and many healthy veggies. 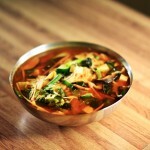 Tangy and spicy Amitabul kimchi with tofu, veggies that will help you with healing energy and will heal colds and flus. A lot of sweating too! Mushroom base mild broth with sliced brown rice cake seaweed, shitake mushroom and veggies that will turn your days to a higher fantasy. 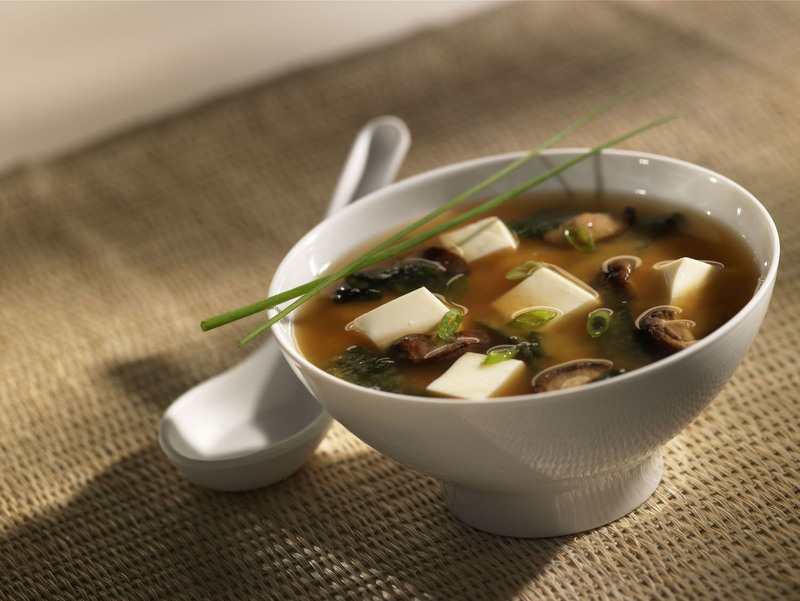 Soothing mellow flavor of 12 year aged miso base broth with tofu, seaweed and veggie goodies will you the 9,th way to nirvana. Super energy pumping dish with large chunks of chestnut, sweet potato, potato and radish with a touch of mixed nuts and many healthy veggies. 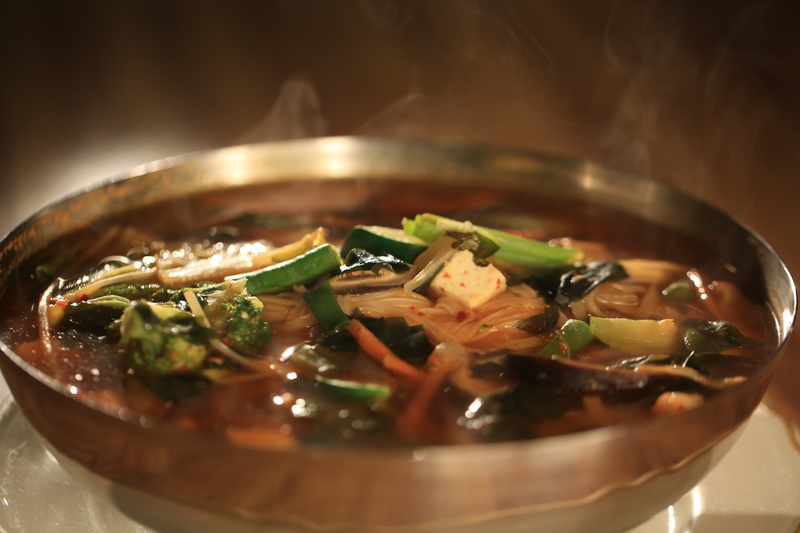 Wonderfully balanced herbs and roots steamed stirred with many veggies and special flavor. 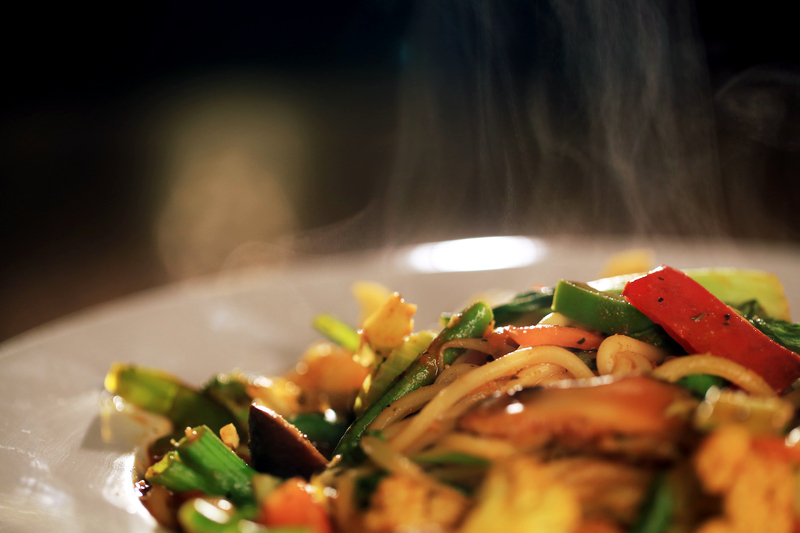 Super steamed stirred veggies mixed in a special flavor of Chef Bill's secret sauces. A 4 course meal starting with soup, a special entree from the chef, dessert, and tea. Sweet and minty flavor of maple and wild sesame leaf base sauce mixed with chewy brown rice cake and mystic Asian veggies served over brown rice. Includes a soup, tea, and dessert along with a surprise entree! Wonderfully balanced herbs and roots steamed and stirred with many veggies and special flavor. Umm....it's good. Steamed brown rice over steamed veggies. Our veggies mixed with patties over brown rice. Spicy and tangy flavor of Amitabul's original kimchi steamed stirred with chunks of healthy tofu and veggies to fulfill your desire of a spicy noodle dish. Choice of whole wheat or rice noodle. 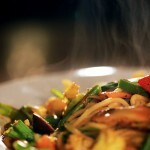 Mild Mahajian curry flavor met with apple and pear tumbled all over steamed stirred noodles and many healthy veggies. 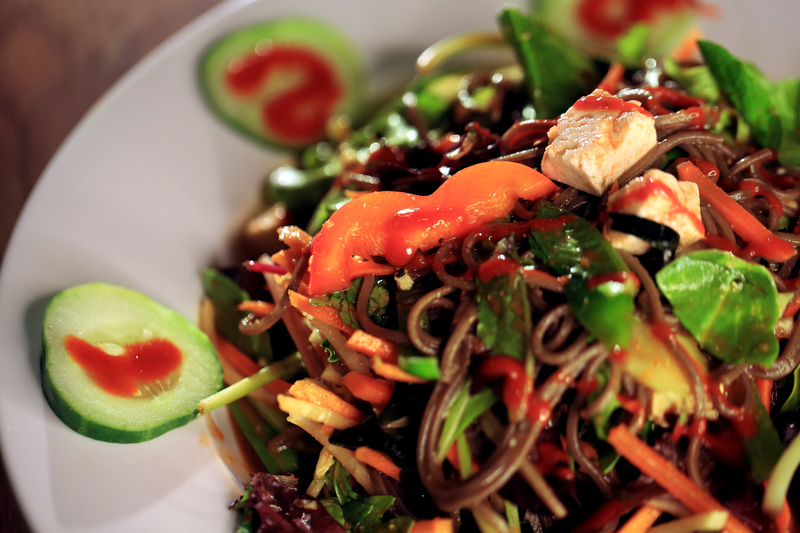 Spicy Tibetan curry and Chef Bill's special seasoning creates excellent tasting noodles tumbled all over with special Asian veggies that will kick you higher of High Noon in your inner heart. 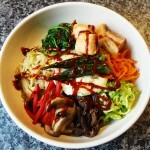 Steamed rice noodle with three kinds of mushrooms gathered with many healthy veggies. 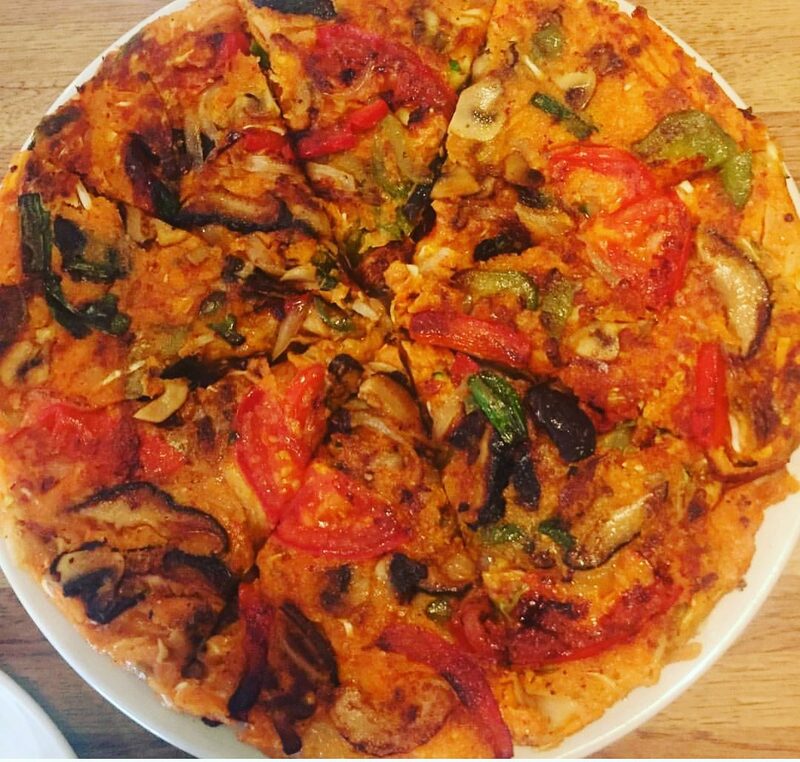 All veggies mixed with pancakes over brown rice. Kiwi, lime, orange, pineapple, spinach, and cucumber. Tofu, apple, strawberry, mango and orange. Tofu, mixed nut, orange, apple and pear.